Let our friendly book buddies spread the joy and excitement of reading. Create displays that showcase books and develop reading skills both in and out of the school. 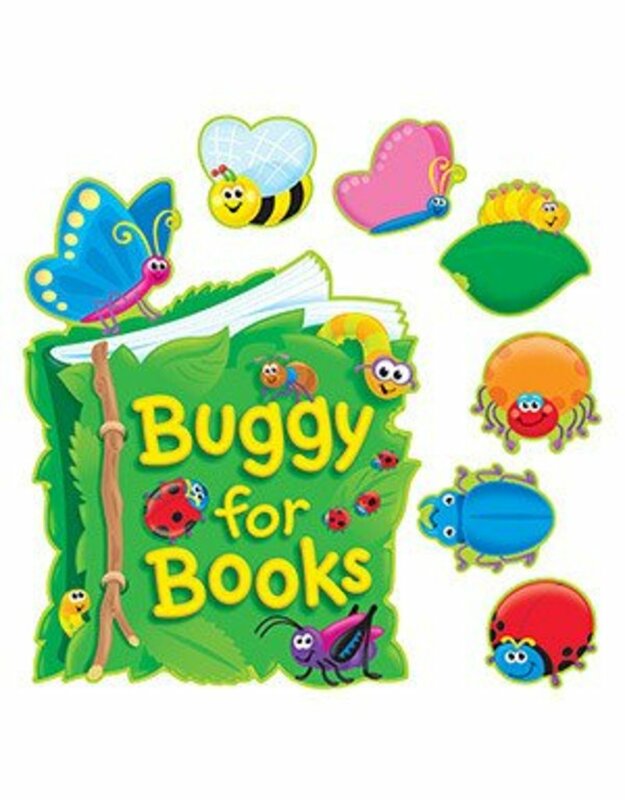 Includes 16½" x 21" Buggy for Books piece, Our Books header, and 32 book buddies. 34 pieces. Includes a Discovery Guide with creative activities that teach and delight!